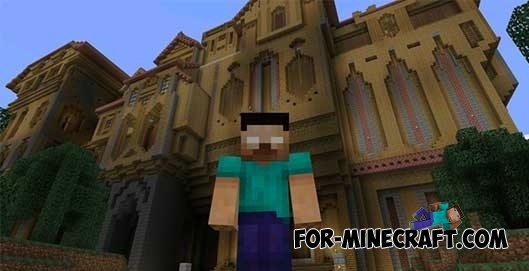 Herobrine Mansion - is a mod that allows you to build herobrine mansion. This is a huge ancient castle is able to shock any player. All the rooms of the castle look scary. This mod is suitable for those players who want to make a test of his courage, exploring every nook and cranny of the castle.